Moretti Olive Oil Has Arrived! 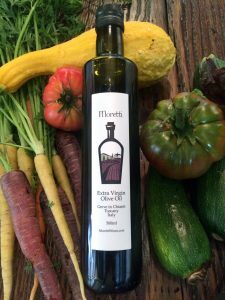 Moretti Olive Oil is back in stock! Our liquid gold has finally arrived, straight off the boat from Tuscany. For quite a few years now we have worked with the oldest winery in Chianti that also happens to make olive oil from ancient trees, to bring you this complex and robust Extra Virgin Olive Oil. Rich notes of grass, butter and spice make this a perfect finishing oil. Drizzle on grilled steaks, vegetables and bread to take your meal from ordinary to extra-ordinary. “Going to Moretti Wines tasting room is like going to a friend’s house. Antonio has this unique ability to make you feel welcome. 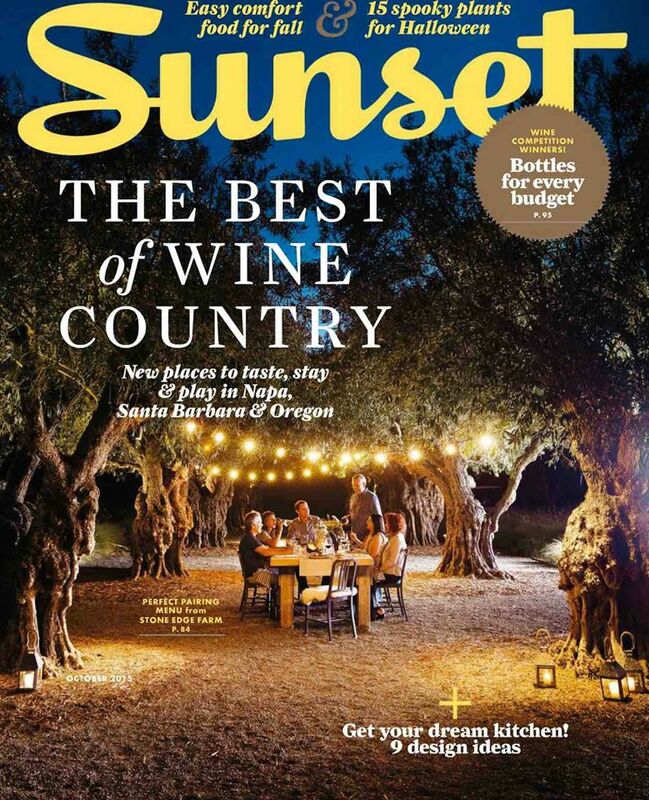 That said, he does have an definite advantage… it’s called fine wine ; ) “Located in a “campus” of industrial buildings called The Wine Ghetto (Lompoc, CA), you will discover Moretti’s tasting room. The humble decor of the tasting room is no reference to the wine and overall experience I had at Moretti Wines. As soon as you enter the room, you are welcomed by Antonio himself. After a quick introduction, he tells you a story about each wine you’re about to taste. No crackers or salted treats here, no siree! It’s fresh baked bread and charcuterie cut right in front of you on a wood cutting board – “à la bonne franquette” as we say in France. It’s about preparing simple food without fuss and sharing it with friends, because you are a friend the second you step foot in Antonio’s tasting room. This is our first Pinot Noir from this vineyard which is planted to a very special clone – the Mt. Eden Clone. This is probably the oldest clone of Pinot Noir in California, originally brought over from the best of the Louis Latour vineyards in the 1880s. It has similar characteristics to the Pommard clone – deep, dark and smooth. This vintage spent 16 months in oak (15% new, 85% neutural.) The resulting wine expresses the best of the Sta. Rita Hills. Cook for 35-40 minutes until medium rare (125 – 130 degrees), or to taste. Enjoy with Moretti Pinot Noir, Machado Vineyard Sta. Rita Hills! Happy Holidays from Jeni and Antonio Moretti!